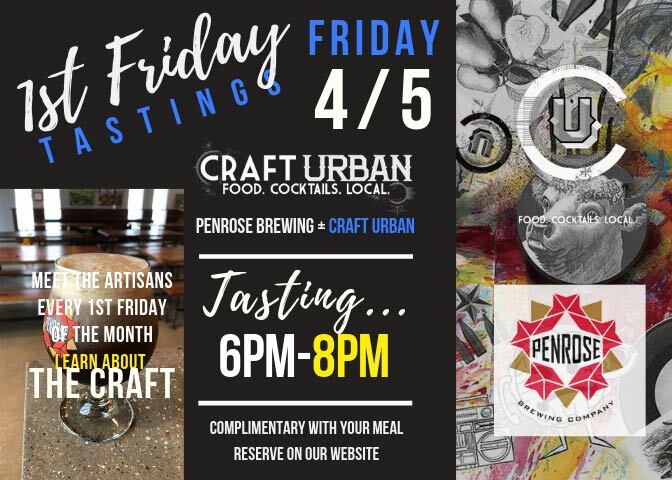 Join Craft Urban and Penrose Brewing for BREWDUCATION. Penrose will be onsite sharing their brewing skills, tips and the products themselves for you to try. We dig food, beer and learning, so we ‘mashed’ them into one cool evening. No cost to you, free with dinner. Come learn and sip with us.